Like pumpkin soup? Like sweet potato soup? 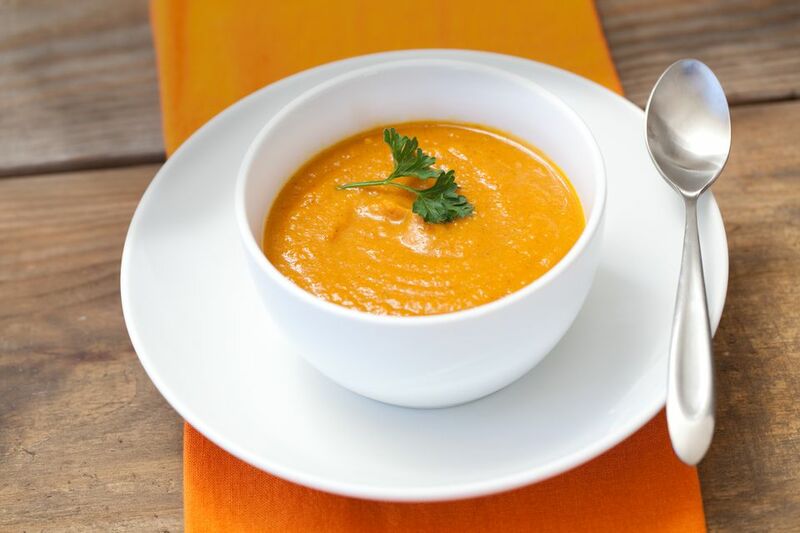 Why not combine the two with this super simple soy-free vegan pumpkin and sweet potato soup recipe! Pumpkin and sweet potatoes are simmered on the stove top with white wine and fresh thyme in this simple yet delicious and nourishing sweet potato and pumpkin soup. This pumpkin and sweet potato soup is the perfect fall or autumn soup recipe for your vegetarian or vegan meal. In a large soup pot, heat the onions and celery in margarine for about 2 minutes. Reduce heat to low and add wine. Allow to simmer for five minutes. Add remaining ingredients and bring to a simmer. Allow to cook for at least 30 minutes, or until pumpkin and sweet potatoes are soft. Puree in a food processor or blender, if desired, or, mash to desired consistency.